Haute Note is proud to support the fight, every month of the year! You can see all the customization options on our Haute Note Pink Ribbon cards, by clicking here. Click here, to go to the Canadian Breast Cancer Foundation website, to find out more information about awareness, prevention and detection. Haute Note is excited to participate in the “Make It Merry” Project, started by Barb Marshall from RiteWhileUCan. This organization aims to make Christmas for the homeless a little merrier, by delivering to them, handwritten Christmas cards. 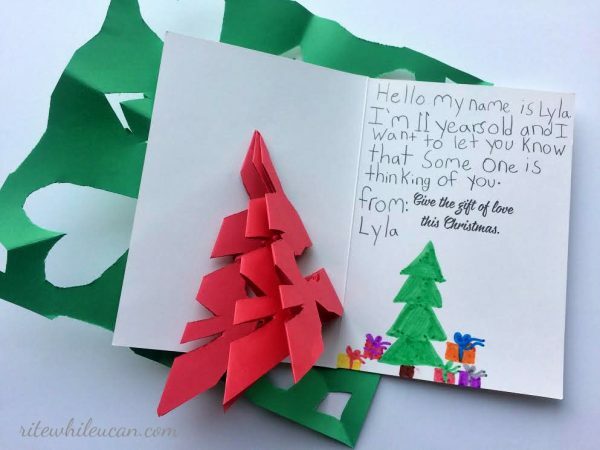 You can find out more information, and how you can get involved, via the Make It Merry website, or on the RiteWhileUCan blog. 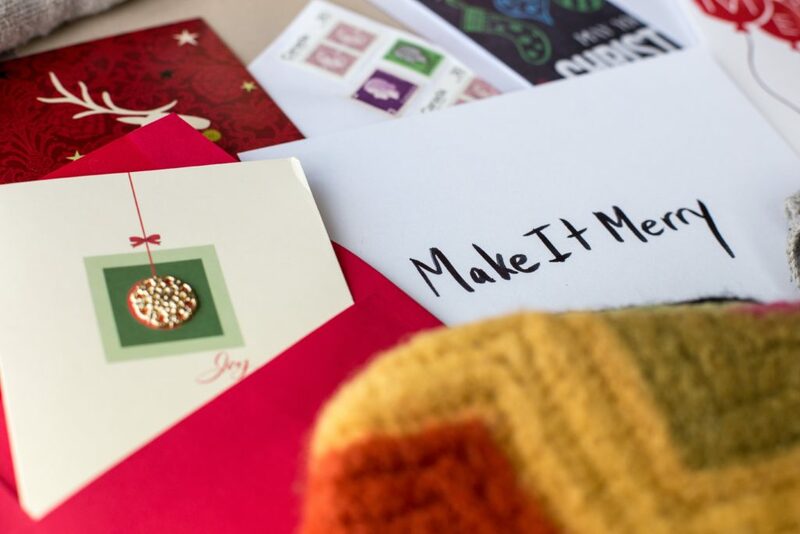 We are pleased to be supporting Barb and the Make It Merry Team by providing some blank Christmas HauteNotes for card-writing events, as well as sending 10 handwritten messages of our own! Please join us, and help Make It Merry! 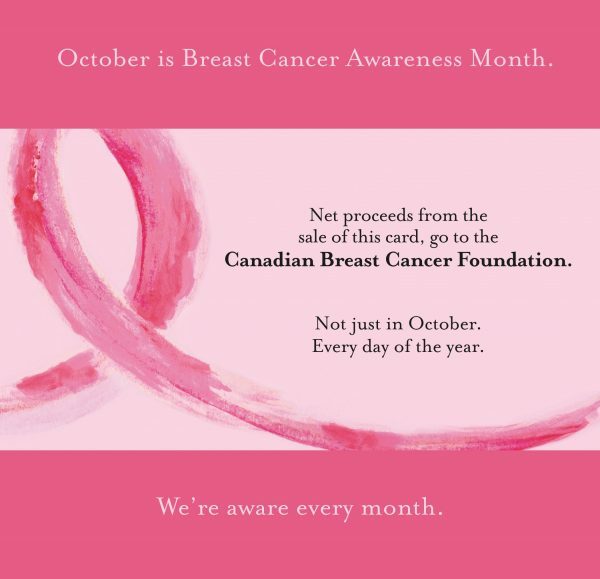 Proceeds from our ‘Awareness’ Breast Cancer Ribbon card benefit the Canadian Breast Cancer Foundation – EVERY month of the year. Hopefully, neither you, nor anyone you know, will be stricken by this disease. Sadly, the statistics are scary. One in Nine Canadian women is expected to develop breast cancer during her lifetime. One in Four (26%) cancers diagnosed in women in Canada are breast cancer. One in Thirty women in Canada will die from breast cancer. Together, we can help work towards finding better diagnoses, more effective treatments and a hopefully one day… a cure. For more information about Breast Cancer and the Canadian Breast Cancer Foundation, please click here to go to the CBCF website. To go to the Haute Note ‘Awareness’ card, and see the personalization options, please click here for the Signature Card style, or click here for the Classic Flat style.